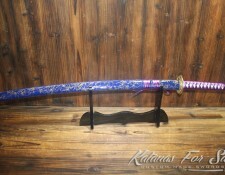 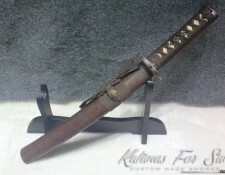 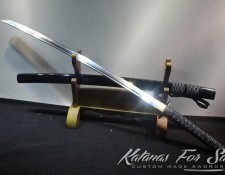 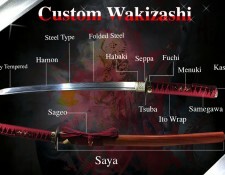 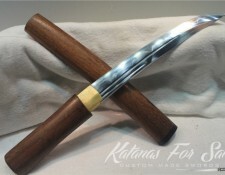 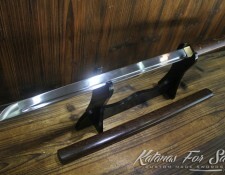 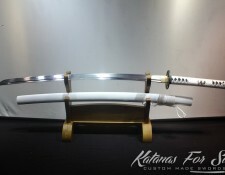 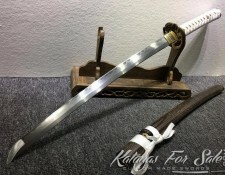 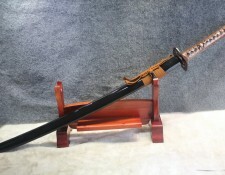 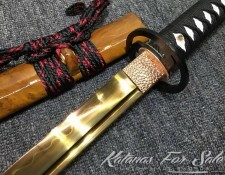 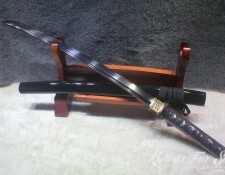 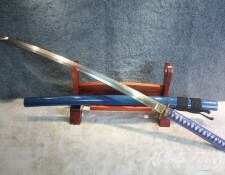 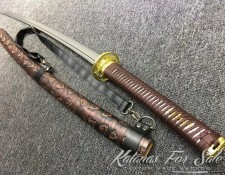 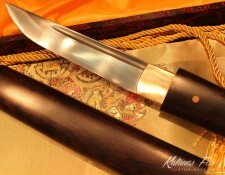 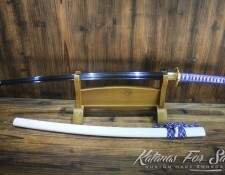 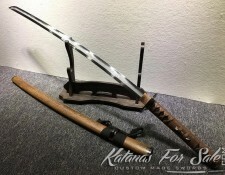 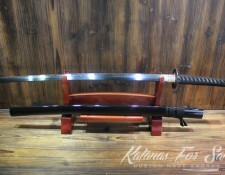 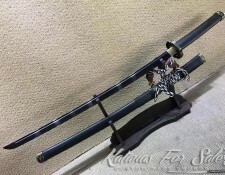 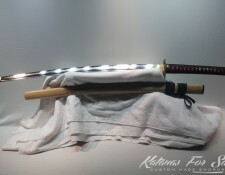 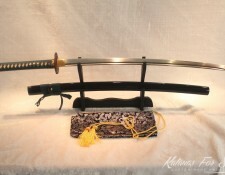 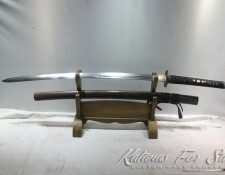 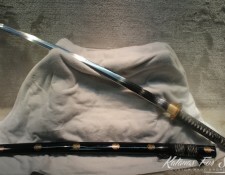 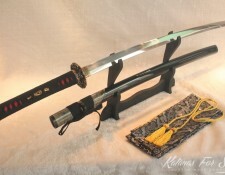 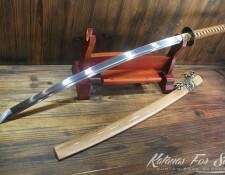 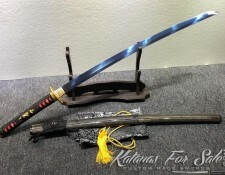 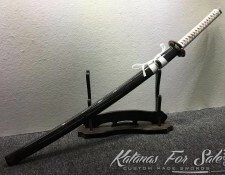 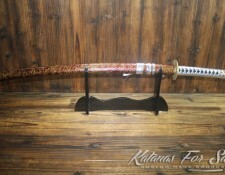 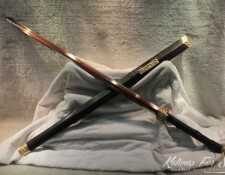 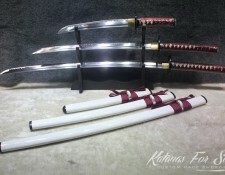 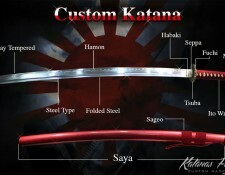 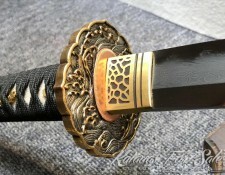 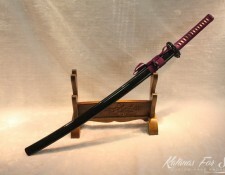 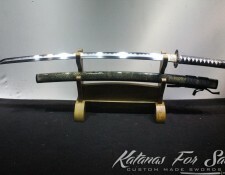 Find below Katanas for sale and a large selection of custom Samurai swords. 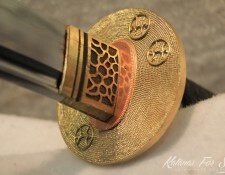 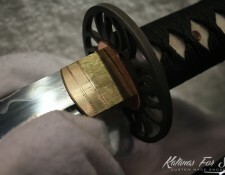 The Samurai Katana sword is a curved single edge blade. 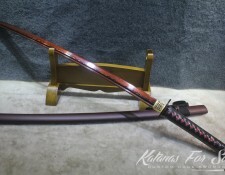 the Katana was tied to the belt of the Samurai using obi, and was facing blade up, which allowed unsheathing of the sword and attacking in one single motion. 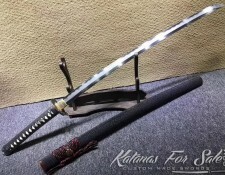 Your Katana can either be sharpened to perfection or left dull if you need it for training practices and prefer non sharpened blade. 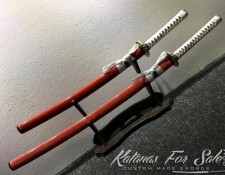 Our T10 clay tempered Katana swords are excellent for test cutting and extensive tameshigiri. 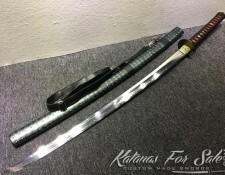 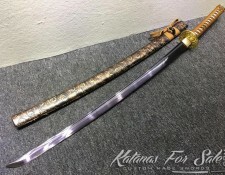 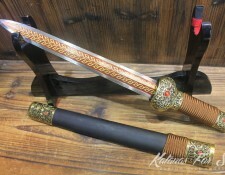 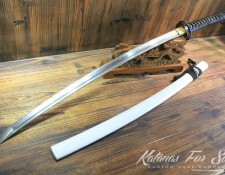 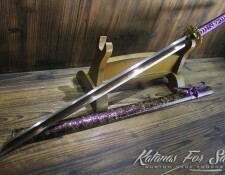 If you prefer more personal Katana sword that you choose all of its components, we have a very large selection of parts when you build your custom sword.